Rev up your engines for this unforgettable collection of Cars Toons starring Mater, the lovable and hilarious tow truck from the hit movie Cars. 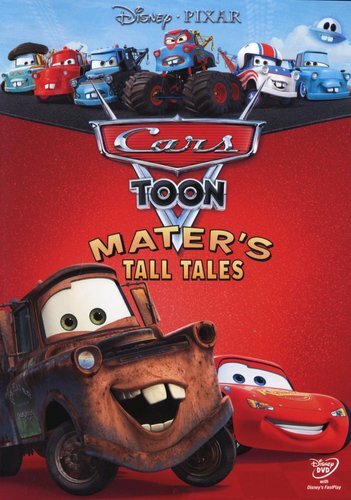 From the creative minds of Disney/Pixar come nine highly entertaining "Tall Tales" involving bullfights, drag races, rock concerts, monster truck showdowns and even UFOs - plus, check out the new, exclusive, never-before-seen Cars Toons Mater Private Eye and Moon Mater. 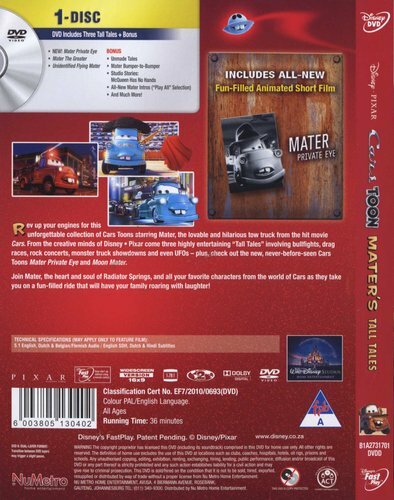 Join Mater, the heart and soul of Radiator Springs, and all your favorite characters from the world of Cars as they take you on a fun-filled ride that will have your family roaring with laughter.